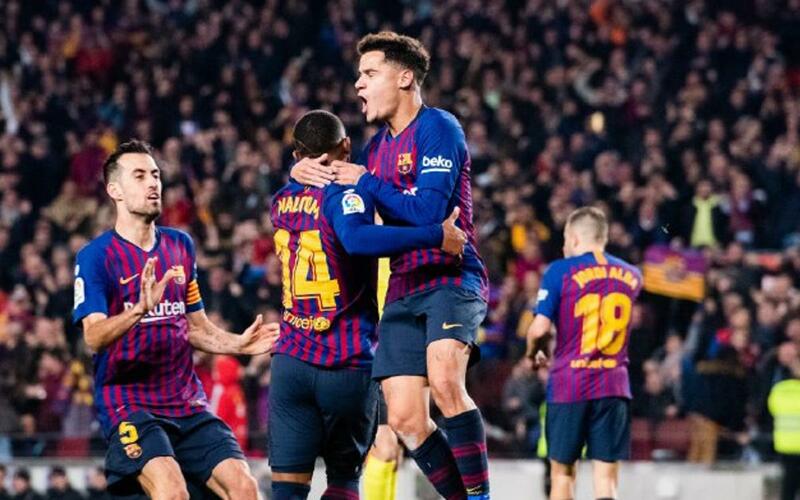 FC Barcelona are still on course to win a record fifth Spanish Cup in a row, and as the comebacks against Levante and Sevilla have already shown this year, the Camp Nou factor has played a huge role in that. It was against Real Madrid in February 2013 that the Catalans last lost a cup match at home, and the record looked in trouble when Lucas Vazquez put the same team a goal up on Wednesday night. But Barça battled back to salvage a 1-1 draw and in doing so extended the undefeated cup run at Camp Nou to twenty matches. Other than tonight’s game, the only other that wasn’t a Barça victory was the 1-1 draw with Atlético Madrid in the 2016/17 semi-finals, a result that was still sufficient to ensure passage to the final 3-2 on aggregate. Malcom was able to celebrate his first ever Clásico by scoring his third official goal for Barça. It adds his name to the illustrious list of players this century to have scored for Barça in their first ever game against Real Madrid: Samuel Eto'o, Thierry Henry, Gerard Piqué, Zlatan Ibrahimovic, Pedro Rodriguez, David Villa, Jeffrén Suárez, Neymar, Marc Bartra and Arturo Vidal. Seeing Leo Messi come on as a substitute is not quite such an unusual sight as one might think. This was the eleventh time the Argentinian has come off the bench in a Copa del Rey fixture, and Barça lost none of those games. Despite his late appearances in those games, the GOAT also found enough time to notch up seven goals and an assist! Tonight, however, he was unable to equal his personal best of ten consecutive games scoring. This was his first goal-less performance since we played Tottenham in the Champions League. The 92,008 attendance at Camp Nou this evening was the second highest of the season so far at Camp Nou. In first place? Why, the 93,265 for the previous meeting with Real Madrid in La Liga. Nothing like a Clásico to pull in the numbers!